What comes to mind when you think of California? Is it the cable cars climbing the hills of San Francisco, or is it the glamour of Hollywood and Los Angeles? While these cities are bursting with interesting places for families to explore, the 450 miles between them offer treasures of their own. Scenic Highway 1, also known as the Pacific Coast Highway, hugs the coastline from northern California to its southern border. It offers magnificent views of the ocean, and is the recommended route for this trip, with a few possible detours. Plan a variety of stops from the suggestions below and you can turn this ten-hour drive into a long weekend of family fun. Safety Note: Dues to the road’s enormous popular, the Pacific Coast Highway Task Force has produced a Public Safety Announcement video, entitled, “Stay Safe on PCH.” Please watch this humorous take on the daily confrontations between motorists, bicyclists and pedestrians and you’ll probably drive a little more carefully! Now, here’s our favorite route. Safe travels. Leaving the Bay Area and driving through Pacifica, you will pass near rocky Devil’s Slide and on through a lush farming region. Whale watching cruises are available from Half Moon Bay, and Pillar Point Harbor is a favorite place to watch surfers. The seaside towns of Santa Cruz and Capitola offer 26 miles of state beaches, perfect for swimming in the warm, gentle waters. Check out a unique California Historic Landmark — the Santa Cruz seaside amusement park where there are two historic roller coasters and lots of fun rides. Further south, in the agricultural Watsonville area, you will pass fields of flowers, fruits and vegetables, followed by Castroville, “The Artichoke Capital of the World.” Continuing on Highway 1 about 25 miles, you will reach Monterey. Head to Fisherman’s Wharf where you will find the Museum of Monterey, and then visit Cannery Row, immortalized by John Steinbeck, now an array of shops and restaurants. The Wharf, which originally served as the pier where trading schooners from around Cape Horn unloaded their cargo, was also was a focal point of the whaling and sardine industries. You can come here to arrange sightseeing and whale watching excursions. The spectacular Monterey Bay Aquarium, at the west end of Cannery Row, makes it possible for visitors to view the intriguing undersea world of Monterey Bay, one of the richest marine environments in the world. One of the largest aquariums of its kind in the nation, it has more than 35,000 marine animals and plants. Families spend a week-long vacation in this town alone, so make a schedule before arrival. A very scenic detour will take you to Pacific Grove, known as “Butterfly Town” because of its population of monarch butterflies, a favorite place to explore. As you drive beyond Lover’s Point, a bluff overlooking the crashing waves, visit the Point Pinos Lighthouse, the oldest continuously working lighthouse on the west coast and the Monarch Butterfly Sanctuary. 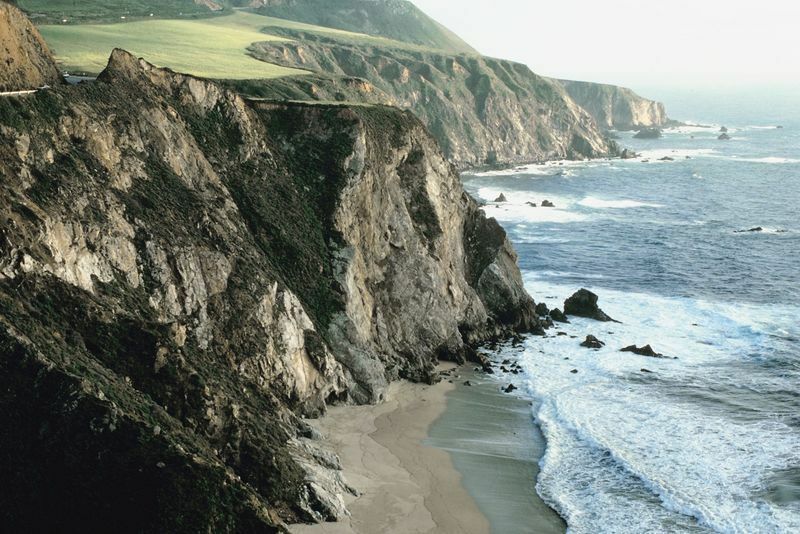 Consider taking the famous 17-Mile Drive to Carmel through incredible coastal scenery. It’s gorgeous, but slow and meandering, so your kids might get antsy or car sick. If you do choose it, you will drive on into the Del Monte Forest to the golfers’ Nirvana at Pebble Beach. Points of interest along this route include Cypress Point, the Ghost Tree, the Lone Cypress and Seal or Bird Rock where you can see thousands of sea birds, seals and sea lions. In the quaint but expensive village of Carmel you can stop at the many galleries, restaurants, boutiques, and specialty shops (including some great toy stores). The beach is gorgeous here, but too rough for swimming. Still, it’s fun to build sand castles and fly a kite at the shore. At the edge of Carmel is Mission San Carlos Borromeo del Rio Carmelo, a restored piece of California’s Spanish history and the final resting place of its founder, Father Junipero Serra. A side trip takes you to the picturesque Carmel Valley, home to the 100-acre Saddle Mountain Recreation Park, where hiking trails abound and wine tastings also are available. Before sunset, continue driving south to Point Lobos State Reserve, a well-preserved, almost primeval area, which is reputed to be the setting for Robert Louis Stevenson’s “Treasure Island.” Walk through the 1,325-acre reserve to see tall stands of cypress sheltering hidden coves. Docents conduct nature walks intermittently. Continue on Hwy. 1 about 25 miles to Big Sur, one of America’s most beautiful spots. Drive slowly and carefully here as the road twists and turns, offering spectacular sights of the sea and the cliffs. Don’t even consider swimming, as the currents here are treacherous. Local artisans and authors sell their works in village shops in Big Sur Village south of Andrew Molera State Park where you can hike or go horseback riding. 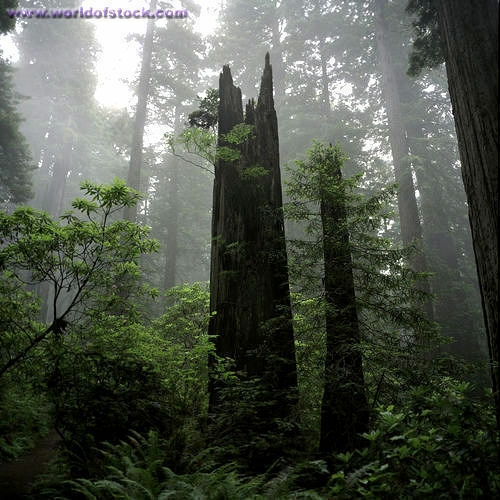 At Pfeiffer Big Sur State Park you can hike and picnic amid the southernmost region of the famed coastal redwoods. The 1006-acre park includes campsites and trailer facilities as well as swimming, fishing, and hiking areas. Around this point, the Highway 1 Discovery Route in San Luis Obispo County begins, with its own helpful CA Route 1 planning website for family travelers. This road’s historic highlight just 64 miles south is in San Simeon. Hearst Castle, William Randolph Hearst’s 165-room estate, is filled with art treasures from Spain, Italy, France, Greece, England, and Egypt. Newspaper magnate Hearst spent millions erecting the fantastic structure, 5.5 miles up the hill from Hwy. 1. His family presented this medieval-like Shangri-la and its unbelievable riches to the state in 1958 for public exhibition. Fun, gossipy tours of the castle and grounds, where Mr. Hearst entertained movie stars and business tycoons, are ranger-led and enjoyable for school-age kids and older; reservations are strongly recommended as this is one of the most popular tourist destinations in California. 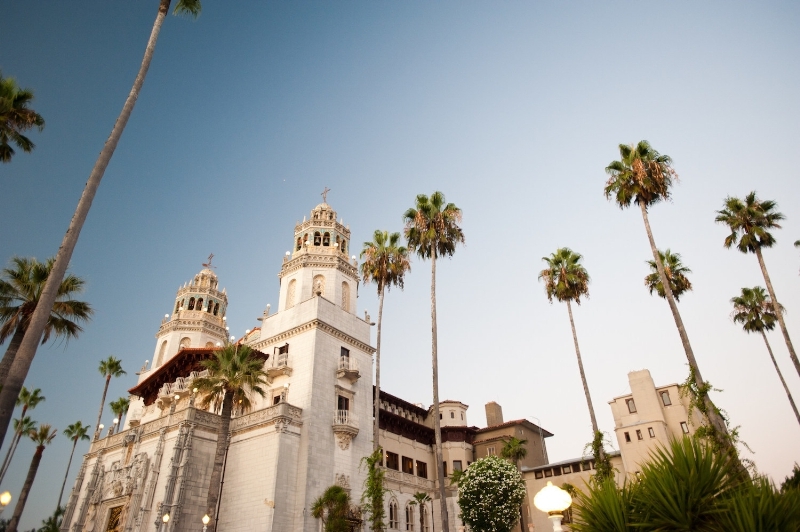 For a rare and special treat, Hearst Castle is doing a semi-private, two-hour tour (from Sept. 17-Oct. 31, 2016 and May 1-June 30, 2017; $100 by reservation only) for art lovers called the “Art of San Simeon.” Learn how and where Hearst acquired his beautiful collection of paintings, tapestries, sculptures, antiquities, and furniture and visit never before open parts of the home. Slightly further south is Cambria, another artists’ colony, nestled in a pine tree-lined valley, filled with quaint inns, restaurants, art galleries and shops, including some that kids will want to explore. Beachcombers can find semiprecious jade and jasper, agates and moonstones, shells, and petrified wood at Moonstore Beach and Shamel Park. The area is popular with surf-anglers and board-surfers; inexpensive motels line the route. A 30-mile side trip from Cambria on Santa Rosa Creek Scenic Drive will take you to Paso Robles and the Central Coast wine country. Or you can return to Hwy. 1, past tiny Harmony and travel south to Cayucos-by-the-Sea, a Swiss dairy and Portuguese fishing community, noted for its long fishing wharf and the gentle waters of Estero Bay. From there it is only six or so miles to Morro Bay, called the “Gibraltar of the Pacific” because of the 576-foot-high volcanic peak looming over town and bay, the westernmost of nine extinct volcanoes named “the sisters.” Morro Bay and its colorful Embarcadero features dining, shops, fish markets, and The Morro Bay Aquarium with more than 250 marine specimens from local waters. Morro Bay State Park has an 18-hole golf course, great hiking, and camping facilities. The Museum of Natural History features numerous displays on wildlife, tides, and other phenomena of the sea. 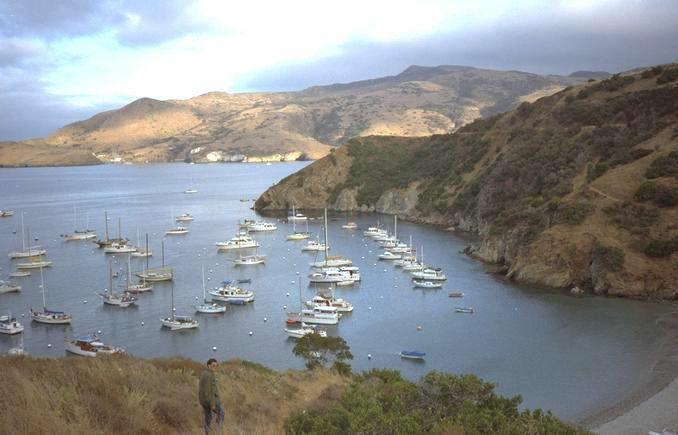 Nearby is the Morro Bay Estuary, the nation’s third-largest bird sanctuary. Continue through Los Osos where the serene “Valley of the Bears” is the entrance to the 8,400-acre Montana de Oro State Park, the heart of this sanctuary. Stop for tea and a look, or spend the night at the famous Madonna Inn, a landmark hotel with 109 uniquely themed rooms. Halfway between San Francisco and Los Angeles, San Luis Obispo is the site of Father Junipero Serra’s fifth mission, Mission San Luis Obispo de Tolosa founded in 1772. Historical walking tours offer visitors a chance to stretch their legs, and hiking in the surrounding mountains provides panoramic views of the area. San Luis Obispo is an attractive town with Victorian homes and the site of California Polytechnic State University. The nearby wine country and dramatic coastline add to the area’s attractions. Enjoy a refreshing walk along the pier in Avila Beach or visit the Sycamore Mineral Springs nestled in the wooded hillside, where families are welcome to soak in hot tubs and use the heated swimming pool. To find out more, read our article about San Luis Obispo. Travel on to Shell Beach and Pismo Beach, known as the “Clam Capital of the World.” This surfing Mecca is also noted for its oceanside restaurants and a mild climate year-round. Consider a slight detour to charming Solvang, largely populated by people of Danish descent. The town’s windmills and bindingsvaerk walls, typical of Danish hamlets during the Middle Ages, are testimony to this heritage. Shops sell imported Danish porcelain and brassware, and cafes offer tasty Danish pastries and other Scandinavian specialties. 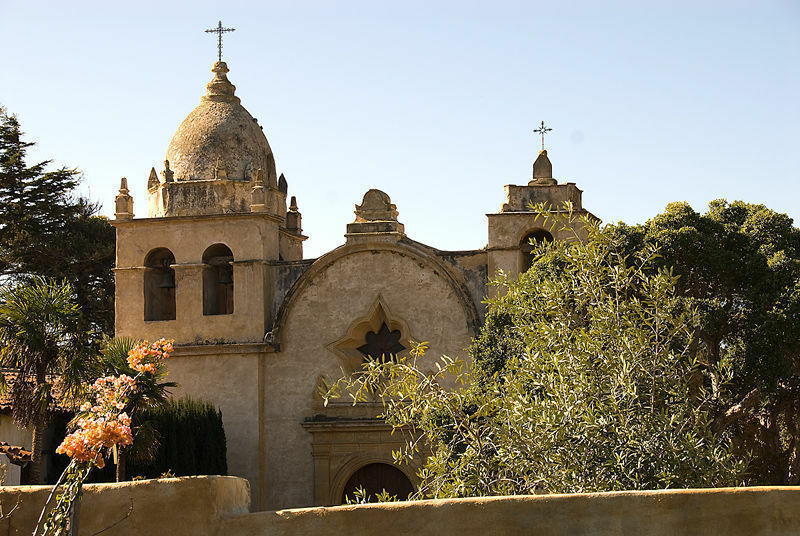 Visit Mission Santa Ines, founded in 1804 and the Elverhoy Danish Heritage and Fine Arts Museum. There are also family B&Bs and numerous gift and antique shops. Surrounding Solvang are many of the valley’s 23 premium wineries and vineyards. Read more about Solvang here. 100 miles from San Luis Obispo you will reach Santa Barbara, where families from LA go to vacation. The “Red Tile Walking Tour” leads past the stately Spanish-Moorish style courthouse and several old adobes in a 12-block radius. Be sure to visit Mission Santa Barbara, known as the “Queen” of the 21 California missions. The Padre’s quarters and the chapel are reconstructions on their original foundations. The Santa Barbara Botanic Garden contains 65 acres of native trees, flowers, shrubs, and cacti. Other notable stops include the Santa Barbara Zoo, the Andree Clark Bird Refuge and the Santa Barbara County Courthouse with its 85-foot clocktower observation deck. Outdoor activities include enjoying the superb beaches, bicycling (lots of places to rent), fishing, cruising, and seasonal whale watching. 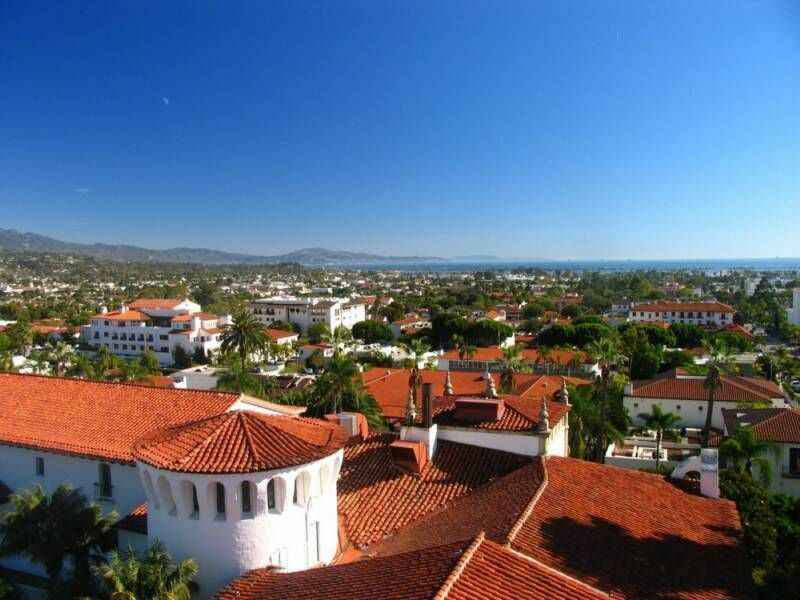 Click here for more about Santa Barbara. From Santa Barbara, it will take about 1½ hours to reach Malibu, home to the rich and famous, which stretches for 27 miles along the coast. Tucked on the gentle slopes of the Santa Monica Mountains, the dramatic environs are matched only by the innovative architecture. Don’t miss Surfriders or Zuma Beaches, favorite surf hangouts, as well as Leo Carillo State Beach or Nicolas Canyon County Beach for splashing in the waves. In less than 10 miles you will reach Santa Monica, a vibrant, oceanfront community which adds a sophisticated twist to the casual beach lifestyle. Third Street Promenade is a favorite hangout, offering a mix of stylish dining and shopping opportunities as well as a healthy dose of street performances. The Santa Monica Pier, dating from 1908, is an old-fashioned amusement park with midway rides and a hand-painted carousel. There are many concessionaires renting bicycles and rollerblades to use on the concrete beachfront promenade. Nearby Venice Beach is widely known for its ’round-the-clock carnival of street vendors, off-the-wall performers and sidewalk artists. Explore eclectic boutiques and cafÃ©s along Abbot Kinney Boulevard and rent a bike or stroll along the peaceful, cottage-lined canal section before driving to Marina Del Rey. Graceful sailboats and yachts ply the gentle waters of one of the world’s largest manmade marinas, where you can rent small sailboats by the hour. Dine or shop in Fisherman’s Village, a charming seaside retreat with waterfront views, at a price. Ask a local for their current favorite eatery. You are now on the outskirts of the heart of Los Angeles, and about two hours north of San Diego, where you will find beaches, zoos and attractions galore. Search Family Travel Forum for many stories about these cities, as well as San Francisco. Don’t miss “Gum Alley” in downtown San Luis Obispo, where visitors have left their artistic mark in gum. You’ll see gum initials, gum hearts, gum peace symbols, and thousands and thousands of pieces of ABC (already been chewed) gum. Found objects such as old 45 rpm records and charms are often stuck onto the wall and there’s always room for more. The wall is located off Higuera between Chorro and Broad Streets. Hey, don't forget about Santa Cruz and the beach boardwalk, which is so much fun for kids. You can park yourself at the beach and let the kids go on the rides – a vintage roller coaster, merrygoround and all kinds of other great rides. Cotton candy, salt water taffy, the whole thing is great! And you can take a surfing lesson there, too. You explain your trip so wonderfully that i decided to go for it with my family on coming weekend. Sounds very romantic. I was thinking about a trip with family for a long time but when I landed here my problem is solved.